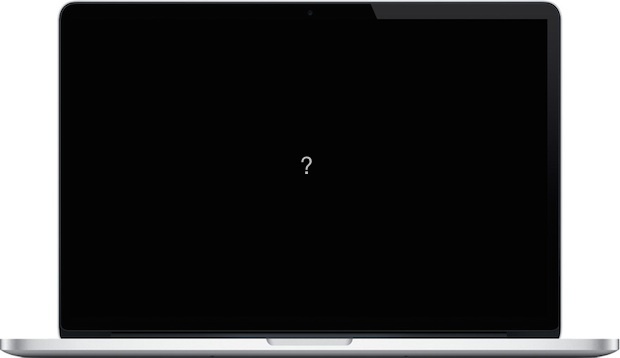 Most Mac users know what type of Mac they have, whether it’s a MacBook Air, MacBook Pro, iMac, or whatever, and many know the model year of their computer too, but typically much less known is the model identifier number for a given Mac. 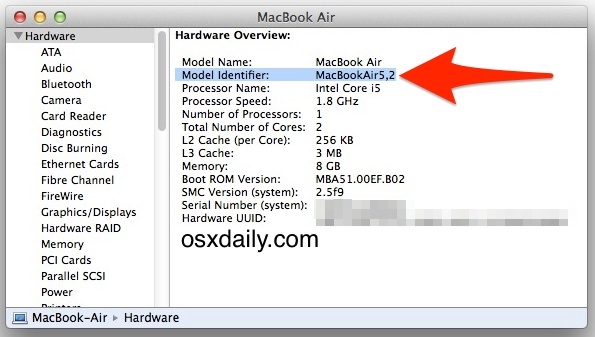 Model identifiers are generally in the format of ModelNameModelNumber,Revision, for example, “MacBookAir6,2”. While knowing a model identifier is rarely necessary for general knowledge of your computer, it can be needed sometimes when troubleshooting specific problems, purchasing specific hardware upgrades, or just for properly referencing a specified model of a given Mac. The Model Identifier will always be a name and a numerical sequence following the “Model Name and Model Number, Model Revision” syntax as already mentioned, this can look something like “iMac9,3” or “MacBookAir3,1” amongst many others. This is the same in all modern versions of OS X, as is the System Information app. You’ll often find that simply knowing and finding the model year of when a Mac was built is sufficient, but sometimes services and sites will reference a model identifier number instead. Either way, this type of information can be useful for hardware upgrades, though it should be noted that Mac OS X makes memory upgrades easy by showing you what type of RAM and the capacity as well for any specific machine, assuming the Mac can be upgraded anyway. 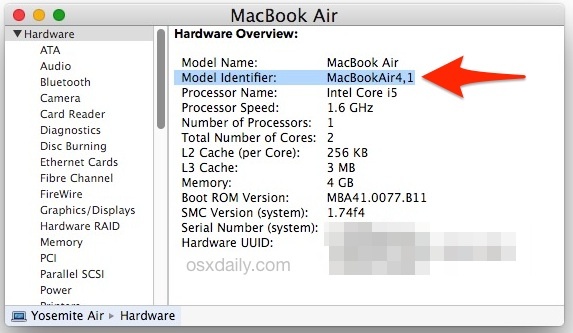 The Serial Number and Model Identifier number are different though, the serial is specific to a machine, the model identifier is general (like all mid-2013 MacBook Air 13″ would have the same model number, but each would have a unique serial number). Not really correct. It is called “About This Mac”, and the serial number is actually hidden in that window. You do not see the serial number there at first. You must know to click TWICE on the word “version”. Helps to know that the Option key is the alt key, at least here in UK. All of my Macs have both “alt” and (larger type) “option” on the key cap. Through the years, Apple has made U.S. keyboards with only alt, only option, or both on the key cap.